Born 15 November 1907, at Harrison, Sioux County, Nebraska. Died 12 December 1960, at Longmont, Boulder County, Colorado. Susie lived for a while in Colorado as a child, before the family returned to Sioux County. She attended high school in Kansas, after which she enrolled in Colorado State College of Education (now Northern Colorado University). 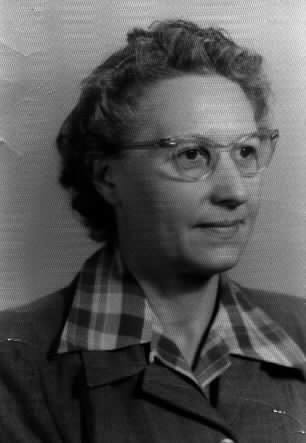 She lived the rest of her life in Colorado, except for the period from 1940 to 1946, when she lived near many military bases throughout the United States. Married 19 August 1934, at Harrison, Sioux County, Nebraska.